Sci-fi thriller The Rain opens six years after a virus carried by the rain wiped out almost all humans in Scandinavia. When two Danish siblings emerge from the safety of their bunker, they find all remnants of civilization gone. 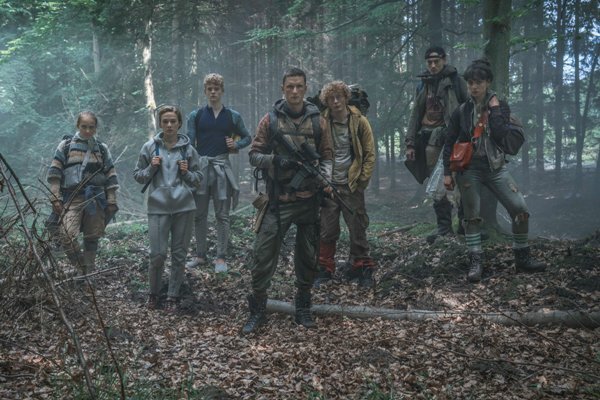 Yet there is another group of young survivors, so they join together and set out on a danger-filled search for more signs of life through an abandoned Scandinavia. And in their struggle for survival, they discover that, even in a post-apocalyptic world, love still exists, as does jealousy and many of the other problems they thought they had left behind when the world they once knew disappeared. The ensemble cast includes Iben Hjejle (Dicte), Alba August (Below the Surface), Lucas Lynggaard Tønnesen (Department Q: The Keeper of Lost Causes), Mikkel Boe Følsgaard (The Legacy), Lukas Løkken (One-Two-Three Now! ), Jessica Dinnage (The Guilty), Sonny Lindberg (The Legacy), Angela Bundalovic (Blood Sisters), Lars Simonsen (The Bridge), and Johannes Kuhnke (Force Majeure). A production of Miso Film, the eight-part series is created by Jannik Tai Mosholt (Borgen), Esben Toft Jacobsen (The Great Bear), and Christian Potalivo (Dicte). It is directed by Kenneth Kainz (Dicte) and Natasha Arthy (The Killing). The Rain launches globally on Netflix on Friday, May 4, 2018. You can add it to your queue now.